The Dodo beauty studio was founded in 2012, and they started to provide beauty products and services through their studio. Then two years later, in 2014, the Dodolashes brand was created with the aim of giving more women access to the perfect makeup look with good products supplied at a fair price. 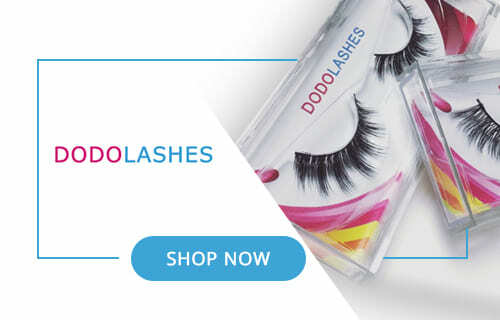 Dodo Lashes are handcrafted using the finest naturally shed mink hairs. They have also now begun a makeup artist program. The company is committed to providing all approved professional makeup artists around the world with a 15% discount to ensure they can stock up and enjoy these fabulous lashes at a minimal cost. Their goal is to encourage and also to promote the use of mink lashes by supplying them at a discounted price. If you are not an MUA professional, you can still receive a discount by using a Dodo Lashes coupon code. If you are wondering where you can get your hands on a pair of these stunning lashes, then we’ve got you covered. It’s always a good idea to go directly to the company website. You can get an overview of each product and simply add your favorites to your basket. Dodo Lashes cost between $5 and $12, and you will get free shipping if you spend over $30, which we have to say is a pretty incredible deal. These lashes are also available to purchase from Amazon and eBay, just make sure that you know which styles you’re searching for, because the selections aren’t always organized as well on these alternative vendors as they are on the official Dodo website. The Dodo Lashes D105 style adds tons of dimension to the eyes for the perfect striking daytime look or bold nighttime look. With clusters of lashes grouped together, you can expect a thick and voluminous overall appearance. Made with mink hair, the Dodo Lashes D115 are fluffy, lightweight, and natural looking lashes. They have been handcrafted with a cotton band for added comfort. With a length of between 10-15mm, these long and wispy lashes are perfect for a glamorous look. The Dodo Lashes D309 are exquisite for accentuating a smokey eye or bold liner, providing ultimate drama and extra length. There’s not a lot of information on the internet regarding Dodo Lashes, but there are a number of positive customer reviews. These lashes are exceptionally well priced. For between $5 and $12 you can expect some beautiful and high-quality mink lashes. This is about half the price of the mink lashes that are sold by other retailers. 100% handcrafted using only the finest mink hair; we can’t fault the quality of Dodo Lashes. These falsies show that you can never judge a product by its price because they’re high-quality and extremely affordable. When compared to some other brands, Dodo lashes are somewhat lacking in variety. However, they still offer a decent-sized selection of lashes to choose from. With a wear period of up to 25 times, the durability is great. If looked after and cared for properly, these lashes can be worn over and over again. 25 times is excellent, especially compared to Huda Beauty’s 15 times. 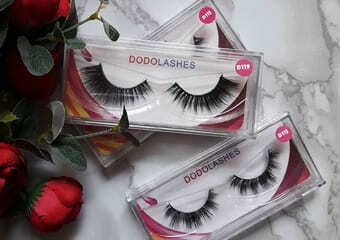 If you don’t want to spend too much money on mink lashes but are still looking for high-quality products, then Dodo Lashes are a great choice. They have a variety of styles to choose from, and all of their falsies are made from 100% sterilized naturally shed mink fur. I was browsing what Dodo had and stopped at D309 but was honestly shocked when I saw the price. Got them on a sale for around 5 USD or so and they’ve already lasted me more than 15 uses. No doubt a good investment. Dodo’s lashes are already cheap, but a lot of people in the industry don’t know that this is a brand with a makeup artist programme too. I only started out working with makeup a year or two ago so I didn’t have a ton of money to build a big kit. This was essentially how I was able to collect enough falsies to start working in the industry. I’d suggest Dodo for anyone just getting started with cosmetics.